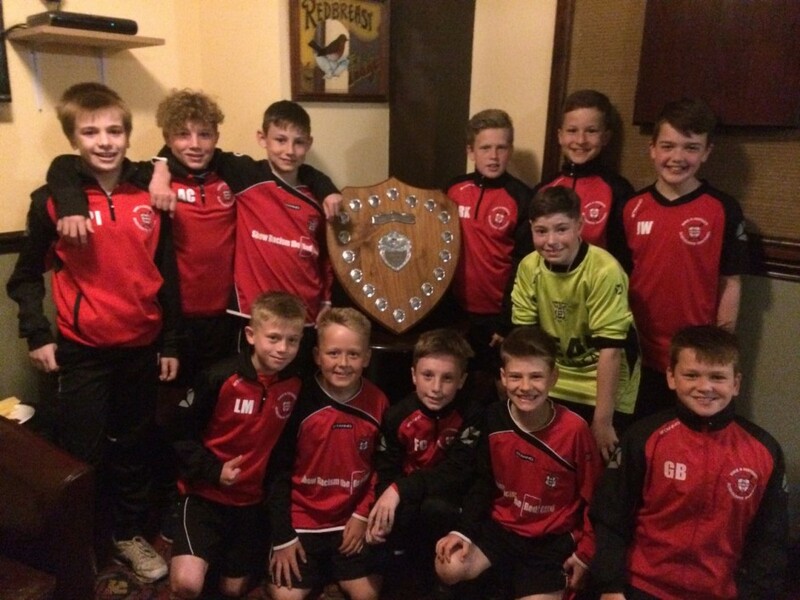 York Under 11 Schoolboy footballers completed a remarkable achievement by not only winning the Yorkshire League but staying undefeated throughout the 2016/17 league campaign. York went into their last game on Saturday knowing any kind of win against Scarborough would leave York Champions ahead of Leeds Schoolboys by virtue of a better goal difference. With so much hanging on this final game York came out of the blocks quickly and two early goals from Liam Mainprize and Fraser Clarke settled the York nerves. The game which was played on a superb surface at Newton on Ouse now became a tense battle with the Scarborough boys getting over their initial setback and pinning York back with some fine passing football of their own, so it was no surprise when on the 18 minute mark a long range strike from Scarborough crept in despite the outstretched dive from York Keeper George Brown to pull a goal back for the seasiders. York managed to hang on until half-time going in 2-1 up. The next 20 minutes became even tenser with York knowing a draw simply would not be enough so when Scarborough crashed a shot against the York crossbar with 18 minutes remaining York were on the ropes. One thing this team has shown all season though is resilience and just when Scarborough believed they could win the game a killer York goal was scored by a Scarborough defender after fine work down the right hand side from Jamie Hudson and Ronnie Kelly 3-1 York. Barely minutes later a fine free-kick from Ben Myers put York 4-1 up with 10 minutes remaining. These last 10 minutes proved hectic with Scarborough deservedly pulling one back with a pile driver from 18 yards out to make it 4-2. 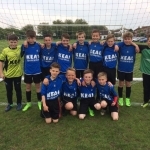 York iced the cake with two goals in the final 4 minutes from Noah Morgan and Jack Whalen to give a flattering 6-2 final score to York but crucially league winners. York’s overall league achievement was Played 12 won 11 drawn 1 lost 0. 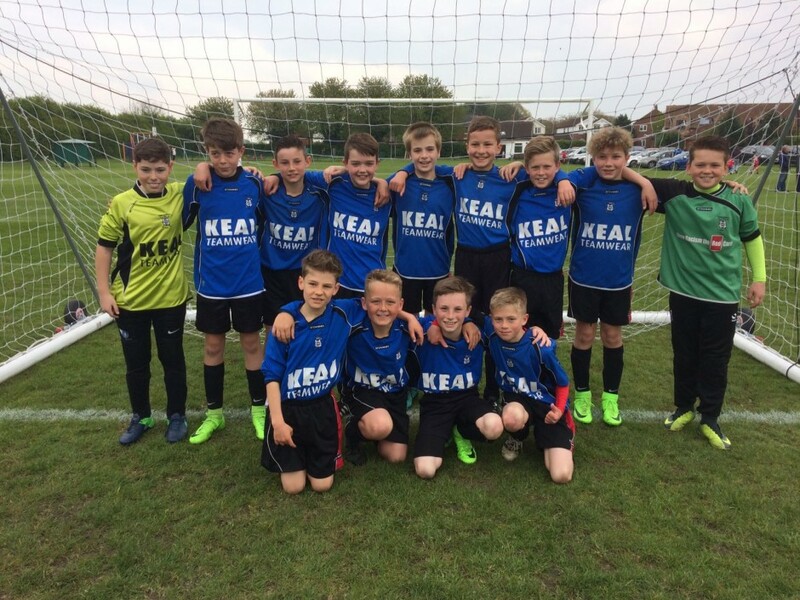 Adam Clarkson was named man of the match but coach Conor Qualter highlighted the fantastic togetherness of a squad who have had to beat much bigger district teams like Leeds and Sheffield to be crowned champions. Squad picture [blue kit] back row left to right: Henry Jackson. Jamie Hudson. Ben Myers. Jack Whalen. Paul Iggulden. Noah Morgan. Ronny Kelly. Adam Clarkson. George Brown. Front row left to right. Bobby Boyson. Ryan Evans. Fraser Clarke. Liam Mainprize. Managers. Brendan Qualter: Matt Brown: Conor Qualter.